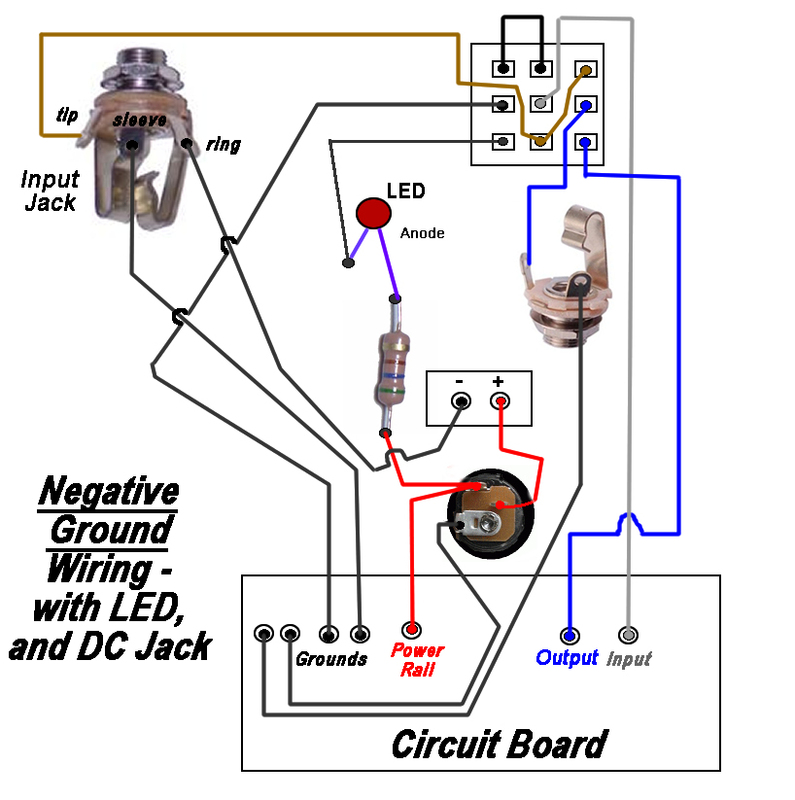 Easy to read hookup diagram for standard negative ground pedal with DC Jack, grounded stereo input jack and LED. Easy to read hookup diagram for negative ground pedal with grounded stereo input jack and LED, but NO DC Jack. 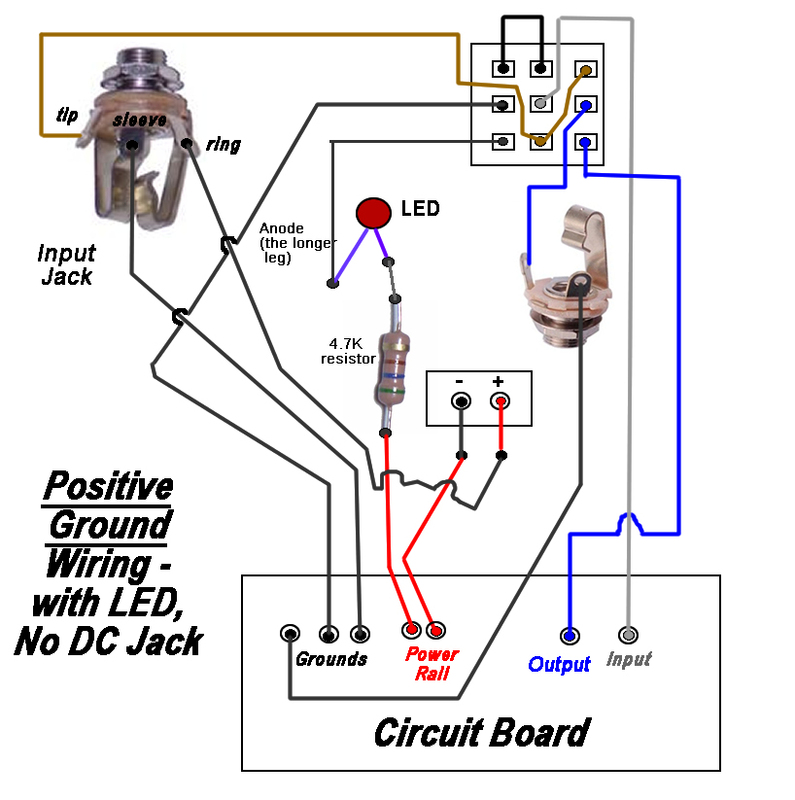 Easy to read hookup diagram for a positive ground pedal such as the Fuzz Face or Tonebender with grounded stereo input jack and LED, but no DC jack. 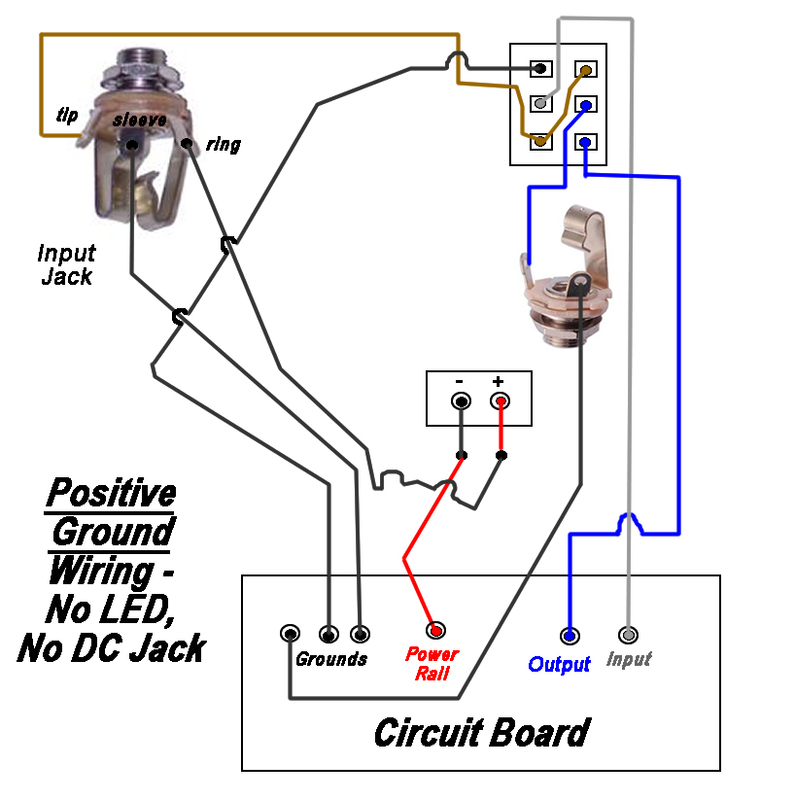 Easy to read hookup diagram for a positive ground pedal such as the Fuzz Face or Tonebender with grounded stereo input jack, but no LED and no DC jack. 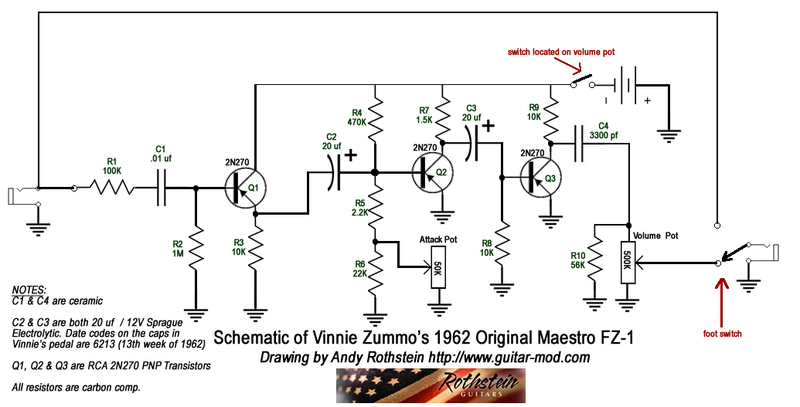 This pictorial documents the repair of Vinnie Zummo's early 60's FZ-1 including a schematic.